Brexit Europe does not mean Brexit Africa. That’s the message Prime Minister Theresa May’s government has been anxious to convey as the deadline looms for it to trigger the United Kingdom’s (UK’s) departure from the European Union (EU). May sent out a posse of ministers to Africa last month to reassure governments that Britain would remain just as firmly committed to the continent after it leaves the EU. Despite some rearguard action by ‘remainers’ in the House of Lords, May is still expected to activate Article 50 of the EU’s Lisbon Treaty before the end of this month. That would start the clock ticking for the UK to exit the EU within two years. Meanwhile, Foreign Secretary Boris Johnson, Africa Minister Tobias Ellwood and deputy foreign minister Joyce Anelay all undertook safaris to several countries in West and East Africa, under the banner #GlobalBritain, to keep the flag flying. Johnson said in Ghana – where he met newly elected President Akufo-Addo to discuss trade and regional security – that throughout West Africa, he had discovered a ‘huge interest’ in #GlobalBritain and increased commercial, security and development ties. The hashtag #GlobalBritain was created precisely to underscore the May government’s insistence that after departing Europe, the UK will not retreat into ‘Little England’, as departing British High Commissioner Judith Macgregor assured her audience at the South African Institute of International Affairs in Johannesburg this week. 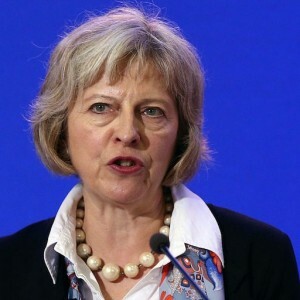 She insisted that Britain’s relations with Africa – and especially South Africa, its biggest economic and political partner on the continent – would strengthen, not weaken, after Brexit. Macgregor noted that although much had been made of the similarities between the British referendum decision in favour of Brexit, and the equally unexpected election of the property tycoon, Donald Trump, as the president of the United States (US), May’s government did not share Trump’s isolationism, protectionism and opposition to immigration. The UK would remain just as ‘outward-looking, globally minded, flexible and dynamic’ as now, she insisted. And, while Trump seems poised to slash development aid, Macgregor also insisted that the UK remained committed to continue spending at least 0.7% of its gross national income on aid, meeting the benchmark of the Organisation for Economic Co-operation and Development. The UK now provides some £2.5 billion a year in official development assistance to Africa, of a global total of around £12.5 billion. Macgregor noted that May had made it clear that the UK was determined to avoid a ‘cliff-edge’ with Brexit: that it intended to negotiate a smooth exit in which the essence of its present trade and other links with the EU would remain in place after it left, to be revisited later to make changes, if necessary. She said that May had made it clear, though, that the UK was not seeking anything like the European Free Trade Association deal which countries like Norway and Switzerland have with the EU, as the UK’s trade was too large for such an arrangement, and it wished to remain more independent of EU laws and policies. Macgregor recalled that May had recently said that a successful EU was important for the UK and vice versa; and Macgregor herself predicted Brexit would be good for both sides. When a rather incredulous German diplomat asked how the departure of one of its biggest economies could be good for the EU, Macgregor said it would provide an opportunity for reflection on how to make the EU work better, for all its citizens. The UK was likewise also eager to avoid a Brexit cliff-edge in its trade relations with South Africa, particularly, but also other African countries. Macgregor noted the unfortunate coincidence that Brexit had come just after the EU had completed 10 years of hard bargaining for an Economic Partnership Agreement (EPA) – a major free-trade agreement – with South Africa, its four neighbours in the Southern African Customs Union (SACU) and Mozambique. Now one of the largest countries in the EU was pulling out. But this need not be a disaster. Macgregor noted that the UK Chancellor of the Exchequer, Philip Hammond, had been to South Africa in December to discuss Brexit arrangements with his counterpart Pravin Gordhan; while South Africa’s Trade and Industry Minister, Rob Davies, has been meeting with his British counterpart, Liam Fox – particularly to discuss a post-EPA free trade deal. Paralleling the UK’s trade arrangements with the EU, she said both sides hoped to effectively transpose the EPA trade arrangements into a bilateral trade deal between the UK and the Southern African countries, also with an agreement to revisit and renegotiate some areas in the future. Presumably, the same will happen with the EU’s EPAs with other African regions, though these are less advanced. In this regard, she said the EPA did not include certain features which other recent trade deals did – such as protection of intellectual property rights and liberalisation of financial and other services. These areas, she did not add, might have the potential for friction: they have been the sort of issues which, for instance, stymied US-SACU free trade negotiations a decade ago. Macgregor insisted though that the new trade deal would be better, not worse, for South Africa, as she had said development aid to Africa would not fall, post-Brexit. There have, however, been some contrary indications. British media recently reported a row within the British government over whether or not to divert some official aid money from traditional recipients (like Africa) to improve governance in vulnerable countries bordering Russia, like Ukraine. The reports had suggested this money would be spent to help get the UK a better Brexit deal from the EU. Macgregor denied that Africa was the target, saying this was part of a wider debate – not a row – about using aid in more nuanced ways. This meant not necessarily focusing it narrowly and directly on combating poverty, but also, for instance, on tackling ill-health and improving governance and education in places other than the poorest countries – and also supporting entrepreneurs in developing countries to boost economic growth, so as to reduce poverty indirectly. Britain is already doing this. Macgregor also noted that some aid had always been used in more strategic ways, for example to help give citizens a better life in countries where most migrants to Europe originate from (to encourage them to stay at home). As part of its post-Brexit #GlobalBritain outreach, the UK would also put more emphasis on the Commonwealth, Macgregor said. She noted that the organisation’s secretary-general, Patricia Scotland, had vowed to put the ‘wealth’ back in the Commonwealth, by accentuating its economic mandate. Macgregor also made clear that South Africa would remain Britain’s chief political and economic partner in Africa. This was in part because of extensive trade – totalling some £9 billion a year – and investment links. But it was also because the UK envisaged South Africa remaining Britain’s chief partner in extending peace and prosperity across the continent, including a continuation of the UK’s extensive support to Pretoria’s peacekeeping role. The UK wanted to continue to support a stable, prosperous and transformed South Africa and continent. ‘I believe we will be even more present in South Africa,’ after Brexit she concluded.